Ever thought of raising thousands with a fundraising firewalk? Get sponsored to walk on fire with one of Europe’s most experienced firewalk instructors, Stephen Mulhearn. An an amazing experience that you’ll remember for the rest of your life! Why not organise a charity firewalk at Lendrick Lodge and raise thousands for a cause close to your heart. 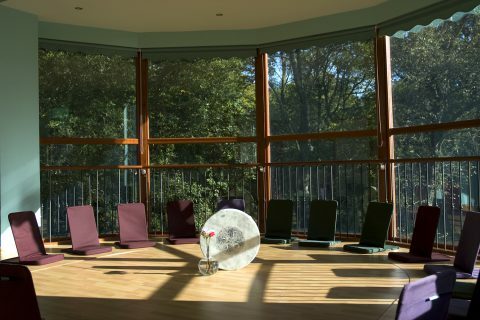 Lendrick is the perfect space for you to organise a magical night of healing and transformation. The mountain above Lendrick Lodge and the river that runs past the firewalk site creates enchantment for your night. Organise colleagues at work or friends and family to get sponsorship to do a firewalk. For a private night you only need a minimum of 20 people. Each person pays £75 to Lendrick Lodge for their firewalk. All the additional money raised goes directly to the charity of your choice. A magical space for your firewalk on ancient Celtic land. 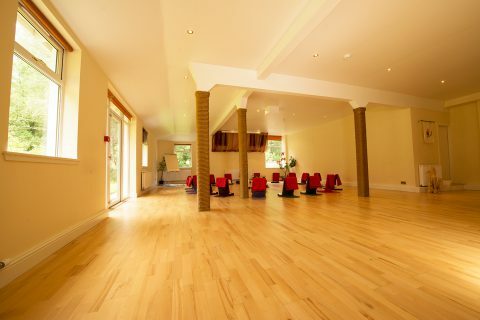 A beautiful workshop space that can accommodate your group from 20-80 people. A piper or drummers for your night. Professional photography and filmmaking of your evening. Bed and breakfast or evening meal. SUNDOOR’s senior European instructor Stephen Mulhearn will lead the firewalk for your group. Stephen creates and teaches totally unique seminars that have been a base for transformation for thousands of people over the years. Storytelling, music and his mischievous Celtic spirit are the ingredients that guarantee a brilliant night for all involved. To help you get your project off the ground we can provide sponsorship forms and text/photos for your flyer or website. We had a fantastic night at Lendrick Lodge – unlike any evening we’d ever had! Stephen’s workshop was lively and engaging and I think we all surprised ourselves with the things we achieved. I’ve had nothing but enthusiastic feedback from our cohort of bold firewalkers. It was a unique and really effective fundraising event for our charity – after some initial help setting up their Just Giving pages our firewalkers needed little help from us and largely found that what they were doing was so unusual that folk were really intrigued and usually sponsored them.